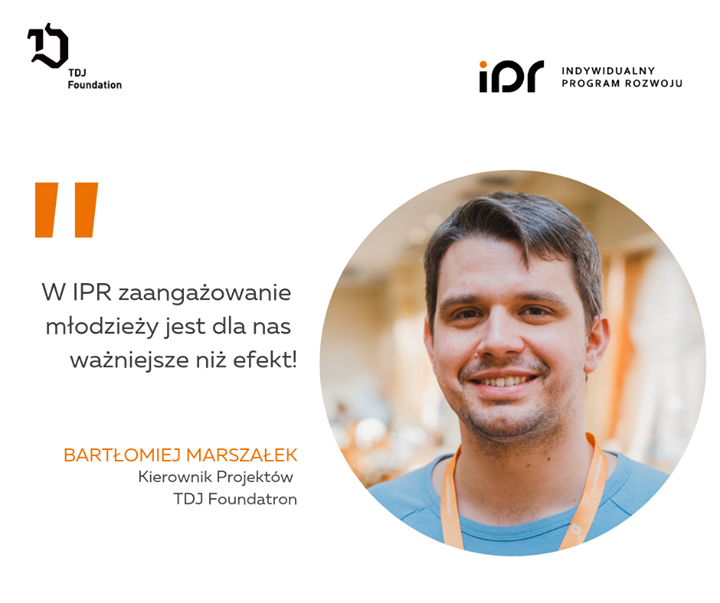 The TDJ Foundation has been operating since 2012 on the initiative of Tomasz Domogała, who is the owner of the family-run company TDJ S.A. 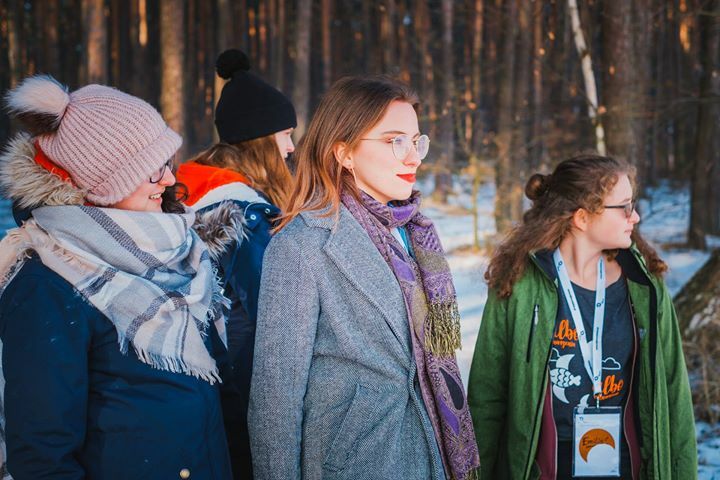 Believing that investment in education and development is the highest value for society, the foundation strives to increase the opportunities of children and youth in this area through the implementation of projects and initiatives based on four pillars: values, competences, passions and family. 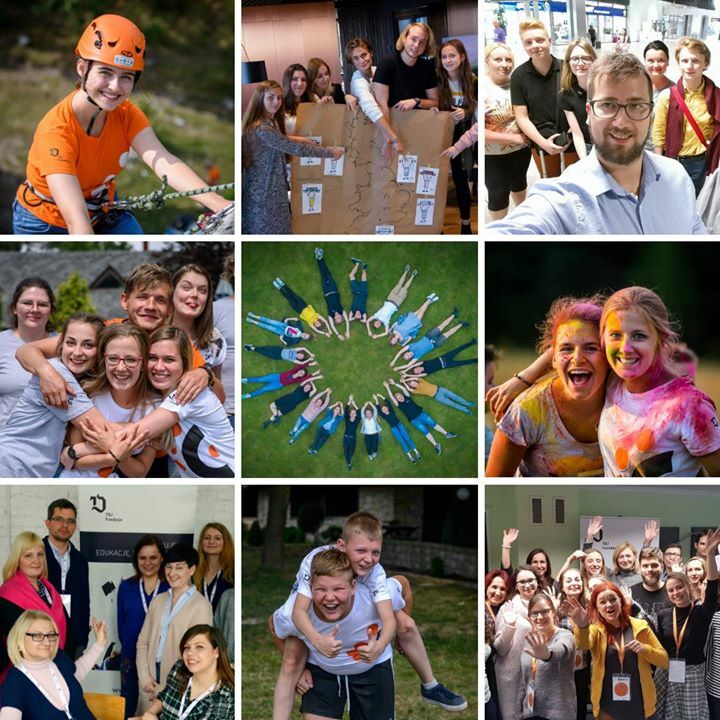 Its educational and development programmes, numerous workshops, trips and scholarships are dedicated to young people, especially children of TDJ employees and portfolio companies. Supporting children, young people and families in developing competences and discovering passions so that they can consciously and responsibly build their future by serving others. Discovering passion and developing competences of children and youth through the creation and implementation of projects. Supporting families in raising children based on Christian values through the foundation’s activities. 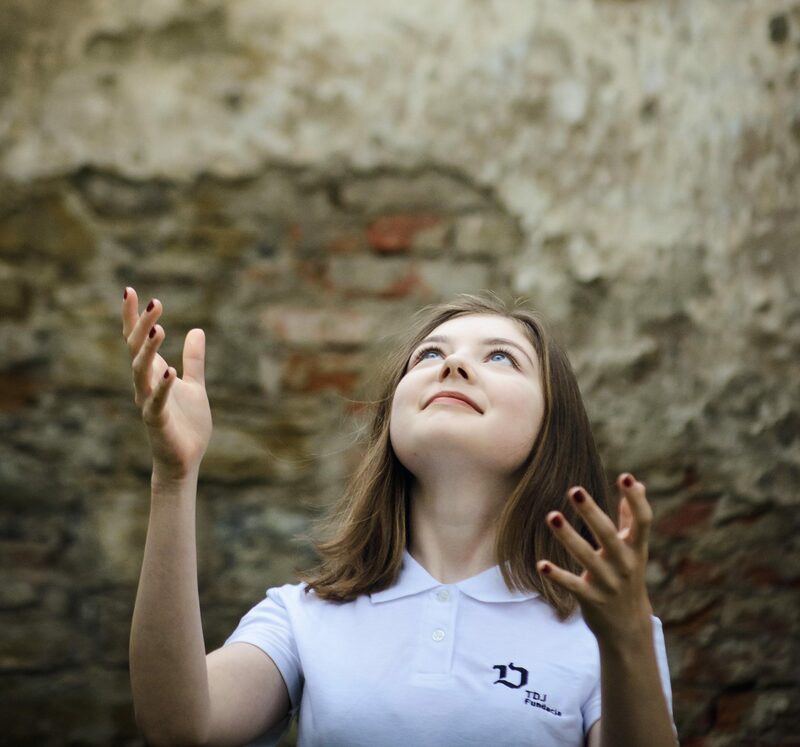 Assisting organizations and institutions that carry out educational activities at the highest level and supporting an upbringing based on Christian values. Being an expert in education and development. He established the TDJ Foundation to provide support to children of employees of the TDJ Group by investing in their education process and offering exceptional development opportunities. Responsible for corporate governance throughout TDJ, which he has been associated with since 1992. In many of its companies he has held managerial functions, taking an active role in numerous investment and acquisition processes. Currently, he sits on the management and supervisory boards of many entities of the TDJ capital group. He specializes in issues related to the capital market and corporate finance. He graduated from the Cracow University of Economics in the Faculty of Production Economics. He has also completed an MBA based Postgraduate Management Studies at the Warsaw School of Economics. 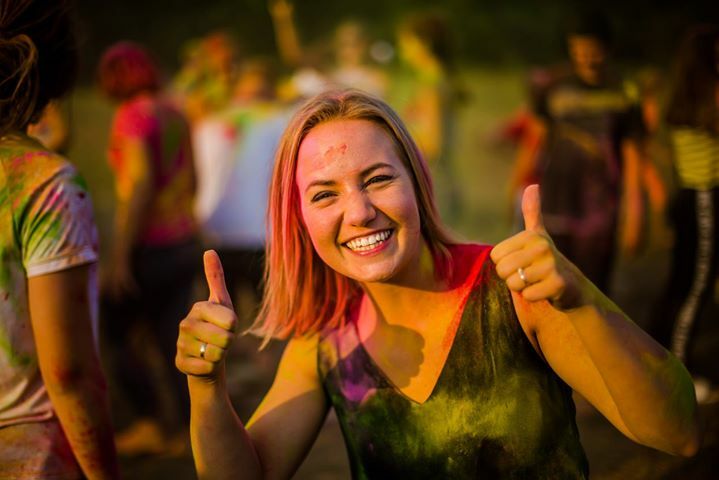 She graduated from the University of Economics in Cracow with a specialization in Enterprise Finance and obtained a Joint Master’s Degree in the field of Risk and Asset Management at the University of Applied Sciences BFI Vienna in cooperation with the University of Economics in Katowice. 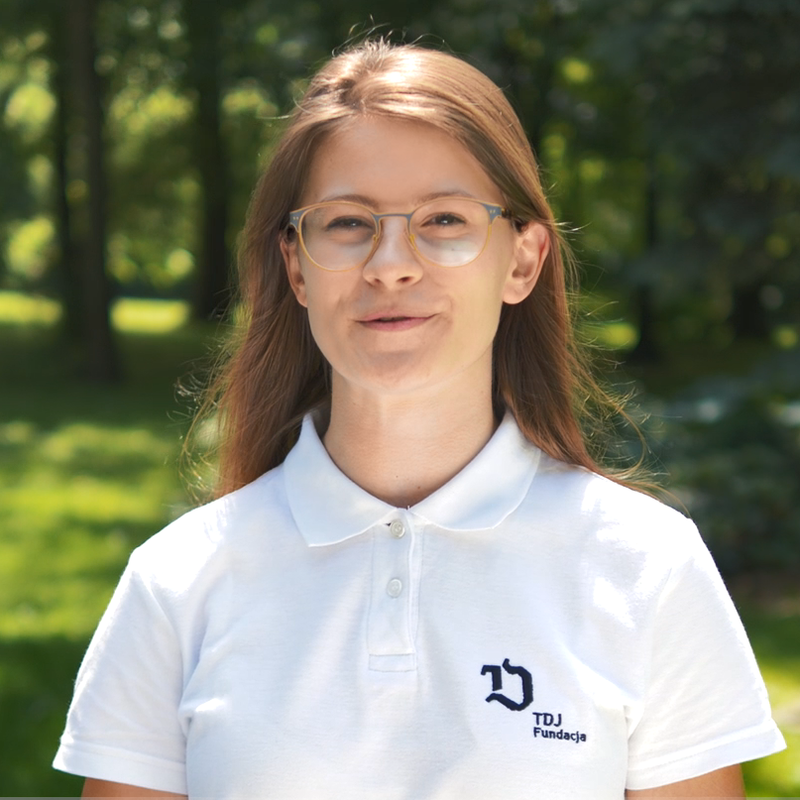 Oliwia Kwiatkowska has been associated with the TDJ Foundation since 2014, and since 2015 she has been the President of the Management Board. She is responsible for the operational activities and development of TDJ Foundation. He is responsible for the implementation of strategies and contacts with partners at home and abroad. For 16 years associated with non-governmental organizations as a volunteer, enthusiast and man of difficult tasks. Coach, manager and initiator of many projects in the field of working with young people. He trained and implemented educational programmes in Poland, the Czech Republic, Georgia, Germany, Belgium and Italy. 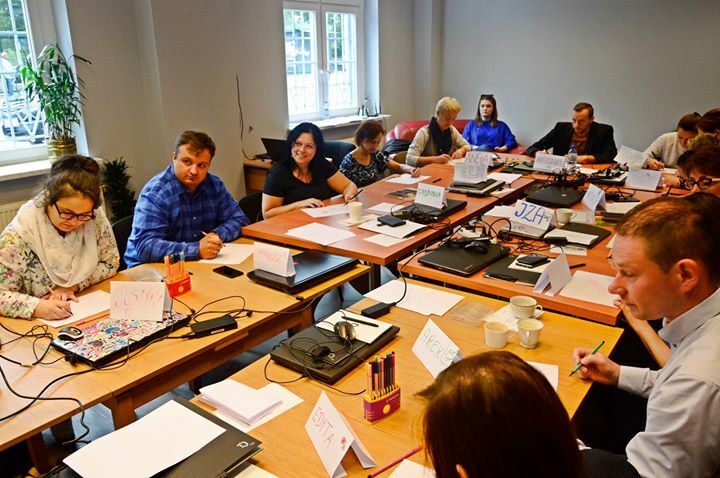 He completed the Promengo programme for organization managers, Meritum Trainers School, DWPN Leaders School and participates in the Leadership School of the Institute of Freedom. A graduate of the University of Silesia in the following areas: theology and political science - social policy, as well as postgraduate studies at the Humanitas College in the field of Human Resource Management in Institutions of Social Assistance and Integration. 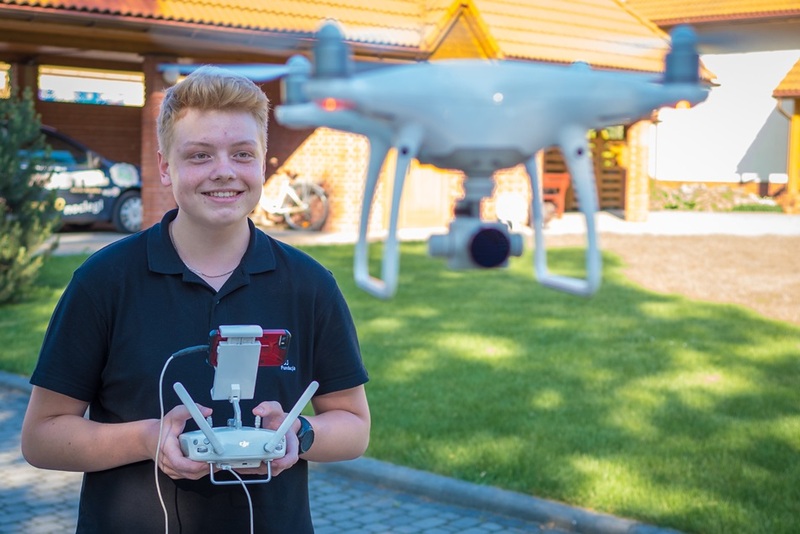 He was also a scholarship holder of the Otto Benecke Foundation as part of the You.va programme, Ifa at Herder Institut Leipzig and Acton University in Michigan. A final year student at the SWPS University, majoring in Personal Development Psychology and Coaching. Three times winner of the VIS Rector's Award (very important student) for achievements within a social background. Co-author of the programme of positive prophylaxis "Ambassadors of the Impossible" and motivational programme "Wall of Dreams". The guardian of children and youth during the project "From the heap to Scandinavia", covering preparatory classes and a cycling expedition in Norway; city's caretaker in the Fortum project for Silesian Children covering a total of over 700 beneficiaries for 6 years, the guardian of the Fortum scholarship programme for Silesian Children. From 2012, he has coordinated preventive and educational projects targeted at children and young people from an environment at risk of social exclusion and addiction. Youth coach of school meetings and workshops outside of school. 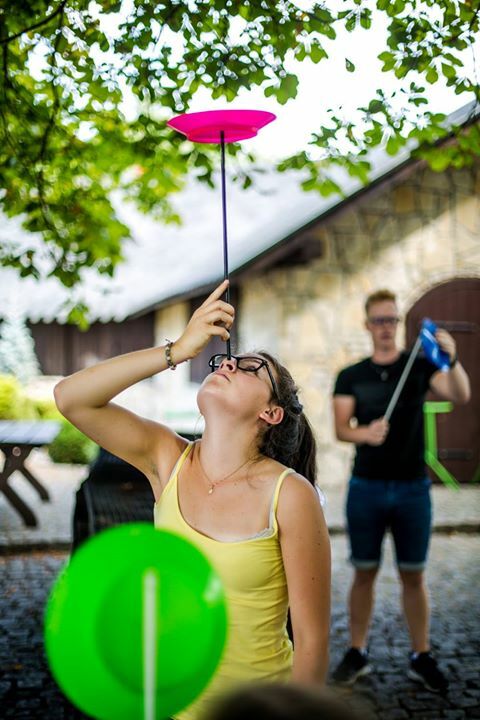 Head of the camp staff implementing their own active leisure programmes for children and youth from 2016. Responsible for coordinating educational programmes for the TDJ community and portfolio companies. For almost seven years, she has been supporting communication processes in non-governmental organizations and commercial entities. In the foundation he joined the group of people implementing the Individual Development Program, he will also coordinate other projects. The curator of the Big Stage at the Slot Art Festival, during the festival he also coordinated the volunteers and supported the organization of the event. 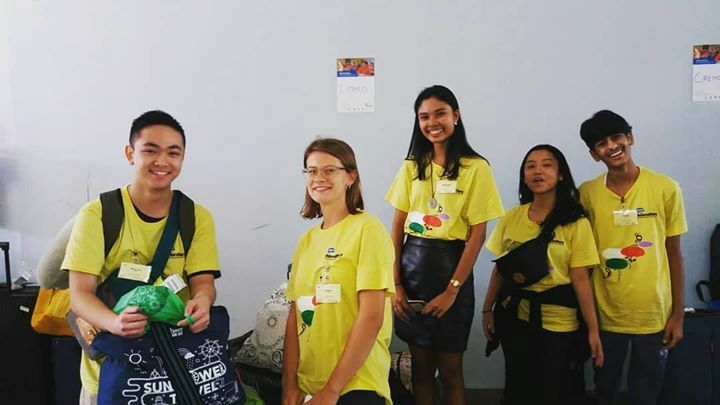 He created camps for youth three times, and for two years he has been running an authorial program for high school students and junior high school students about e-identities. He played the role of the announcer during many events, and also ran his own program in Radio Egida. Privately - an avid cyclist and motorcyclist who loves to read books and set out with his wife on a long journey. At TDJ Foundation, she cares for consistency and clarity of verbal and visual messages that appear on the web, in social media, publications and other promotional materials. For almost 10 years she has been in love with social communication and promotion, which she has carried out for cultural, educational and business projects. 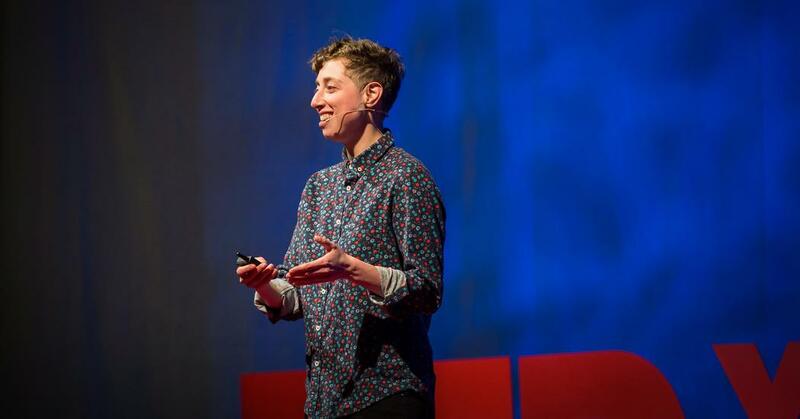 A culture expert by education, passionate photographer and observer of human behavior. Trainer, coach, tutor and project manager with 15 years of experience. In her work, she meets people and teams who want to develop and achieve goals, being in harmony with themselves and their values. 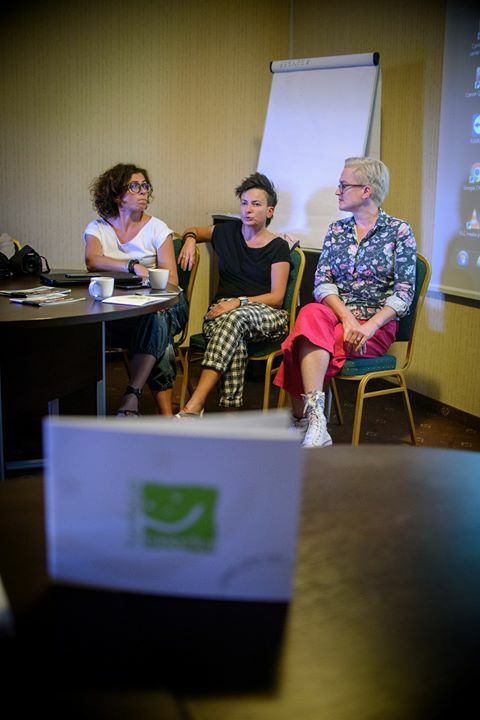 She is certified / completed courses in: coaching programme recommended by the Polish Psychological and Coaching Association as part of the Polish School of Coaching, consistent with the International Coach Federation standard. She teaches at the SWPS University and at the College of Europe Ks. J. Tischner in Krakow. Founder and, since 2009, head of the Korba Project - a development programme for young male and female leaders. In 2007, she received a diploma from the Ministry of Culture for her lifetime achievement. Currently, she is implementing a development programme for young people in cooperation with the TDJ Foundation. A sociologist with several years of coaching experience. 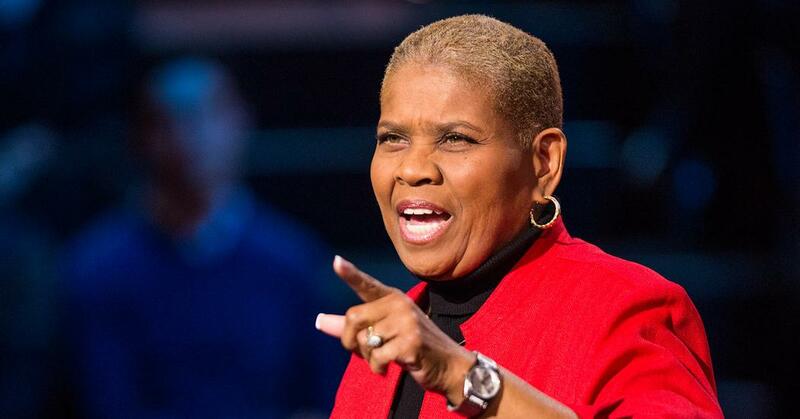 She specializes in running workshops that improve soft skills. She implements training focused on practical solutions and advises, among other things, how to act with internal motivation, care for effective interaction with others, how to communicate, take care of relationships with contractors, actively manage on the labor market, and consciously build the image of a professional. 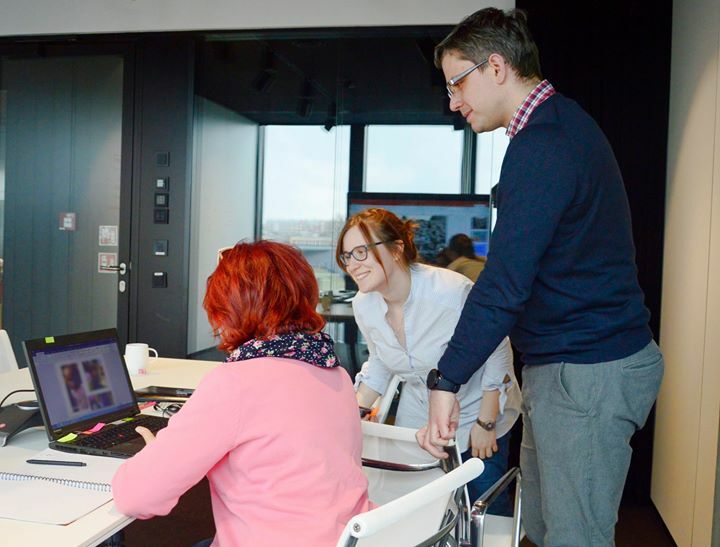 At the University of Social Sciences and Humanities in Katowice, she conducts classes with students on proactivity and public appearances. She actively works as part of the informal O'Rety Team bicycle group and O'Rety - the Activity Promoting Foundation created with her husband. 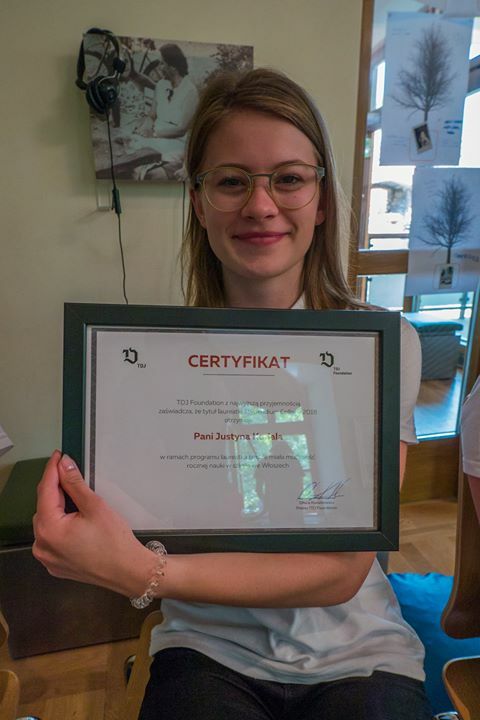 She is also the founder of PROJEKT PASJA. Coach, trainer, vocational counselor, mountain guide and manager. He specializes in management, strategic planning, corporate social responsibility, social policy, professional counseling, training and coaching. He has experience working in three sectors. He fulfills key functions in the management of non-governmental organizations, created business activities and held managerial functions in the regional self-government administration. He is a co-founder and vice president of the Social Development Center association and the president of the European Association of Psychology Coaches. He manages the activities of the Regional Center for Supporting Social Economy. In his free time he runs marathons, plays the guitar and conducts trips as a mountain guide. In the TDJ Foundation he conducts mentoring processes. A special needs educator by profession, who works as a teacher and lector of the Italian language. 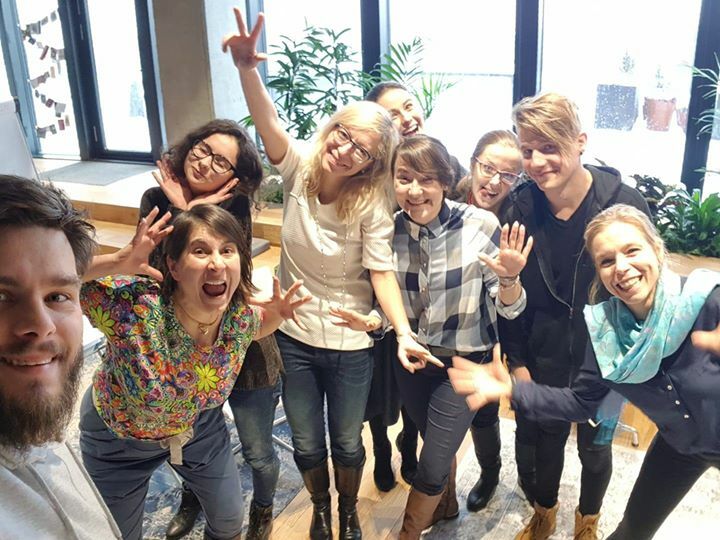 Currently, she is expanding her experience at post-graduate studies at the University of Europe in Kraków in the field of: Coach and trainer - a partner in development. 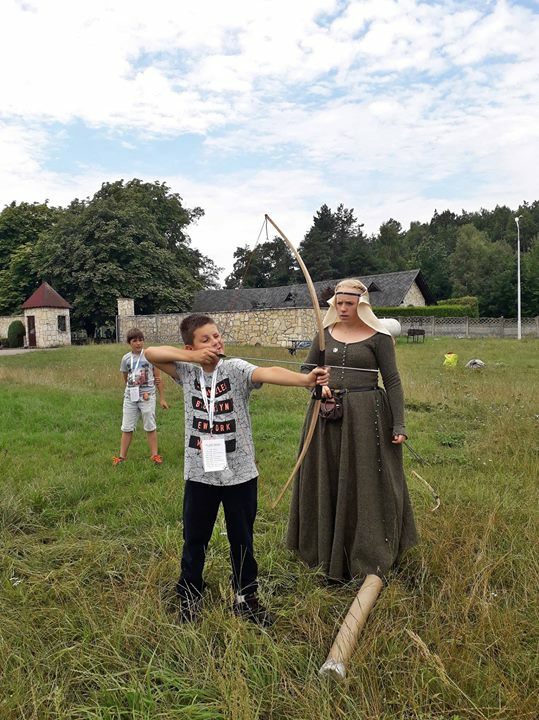 A mother of 5 wonderful children between the ages of 23 and 7 in her daily life, Magda is a passionate person - whether horse riding, which her daughter Małgosia inspired in her, or through painting and photography, to reading adventure and fantasy books. She feels great among people who give her energy, ideas and become a motivation to act. In our foundation, she works as a teacher and supports children and youth in development. 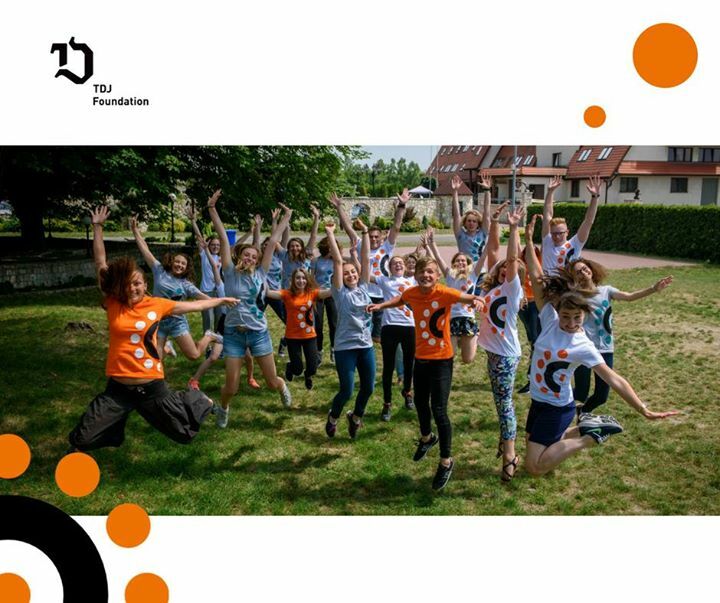 TDJ Foundation supports education and development of children and youth, among others investing in unique educational establishments, with whom they share common values. Are you looking for an interesting book, a proven method for learning, or maybe you want to start developing yourself in a new direction? 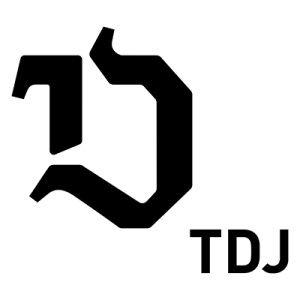 Have a look at our database of knowledge! In the years from 2012-2017, thanks to the TDJ Foundation, almost 60 people participated in programmes focused on individual development, 200 children received educational scholarships, and as part of the Scholarship College 10 went to study in some of the best schools abroad. 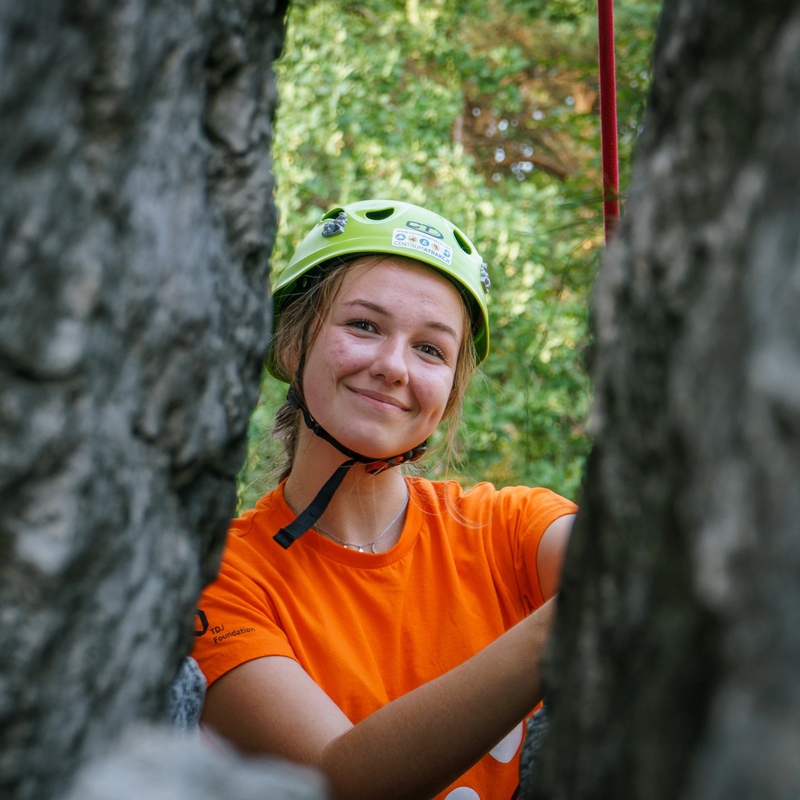 Scholarship recipients could also explore their passions or develop their skills in English during trips to summer camps, and meetings with tutors and mentors throughout the year. Kindergarten on the mound was created by parents who want to support their children in intellectual, moral and physical development. 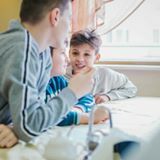 Personalized education is used, which means that every family has at their disposal a guardian with whom he sets a personal development plan for their child. In this way, the educational programme implemented in kindergarten and in the family can be adapted to the individual needs and abilities of the child. The TDJ Foundation supported the kindergarten during its creation and is the leading body, however the local community took over the task of co-participating in its running and is equally responsible for its success. 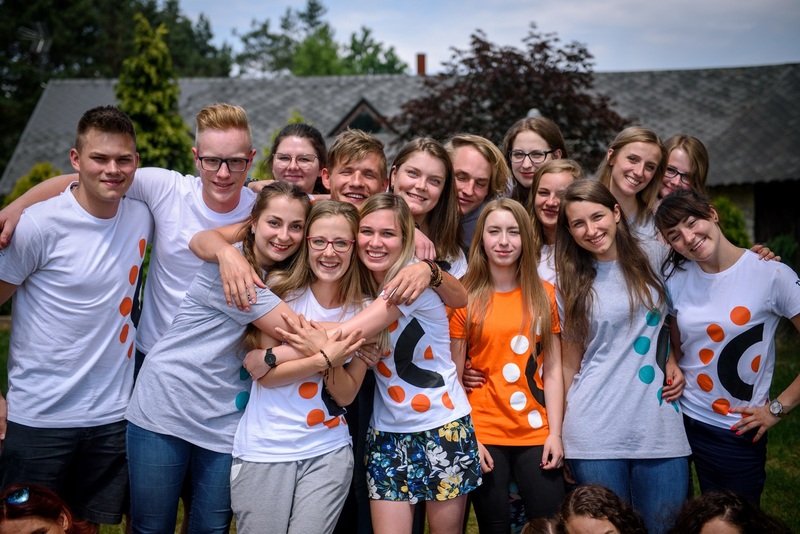 The Catholic Center for Education and Culture in Śrem is a team of schools consisting of a Catholic Primary School, Junior High School in the name of St. John Paul II, Academic High School and Music School. Christian values ​​are present in the concept of the school, its goals and tasks, in the educational and preventive programme, in the curricula, and are a source for the teacher-student relationship and for the development of both the teachers and students. The life of the patron of the school – John Paul II and his teachings are an irreplaceable evangelical inspiration in the educational process of students and the formation of teachers. The TDJ Foundation supported KCEK by donating the building in which the school was founded. The initiative to found a school was born as a result of listening to the voices of families in this society, which showed that there is a great demand for Catholic schools. The aim of the school, besides education in accordance with the core curriculum, is also to raise students prepared for their future life in society and in the family. In the educational process, the school actively cooperates with parents. The school is a community of students and teachers, where the student is the center of attention. The TDJ Foundation provided scholarship assistance to families to pay tuition fees. The kindergarten was created on the initiative of parents who decided to create a place that is a natural extension of the family home and teaches the same principles and values that parents give their children. The foundation gave the kindergarten financial support to build a new educational institution. A new primary school that will take care of children’s development based on the development of Christian virtues, thus providing the basis for raising a child as a good, responsible person. The academic staff consists of people who share Christian values, trying to be true to them on a daily basis, and who, as a priority, see themselves as educational guides in the upbringing of the children entrusted to them. Additionally, the school supports families interested in home education. The TDJ Foundation is the school’s ambassador. 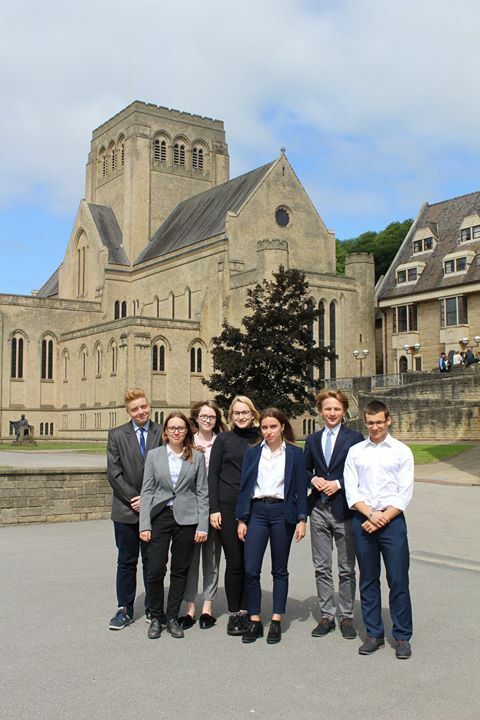 A scholarship for a year-long study programme at Ampleforth College based on the Individual Development Programme with the possibility of further education. The College scholarship also includes the opportunity to participate in the AFS project. 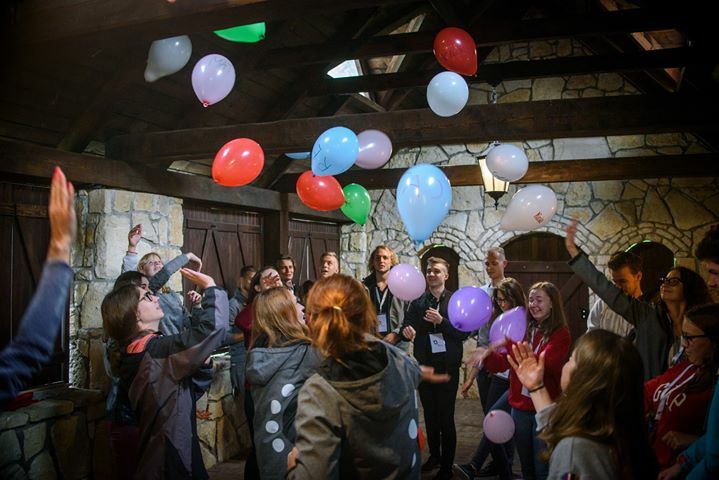 The Inspiracija project is a unique holiday for older children wanting to spend a week in an active and developmental way and meet amazing new people. 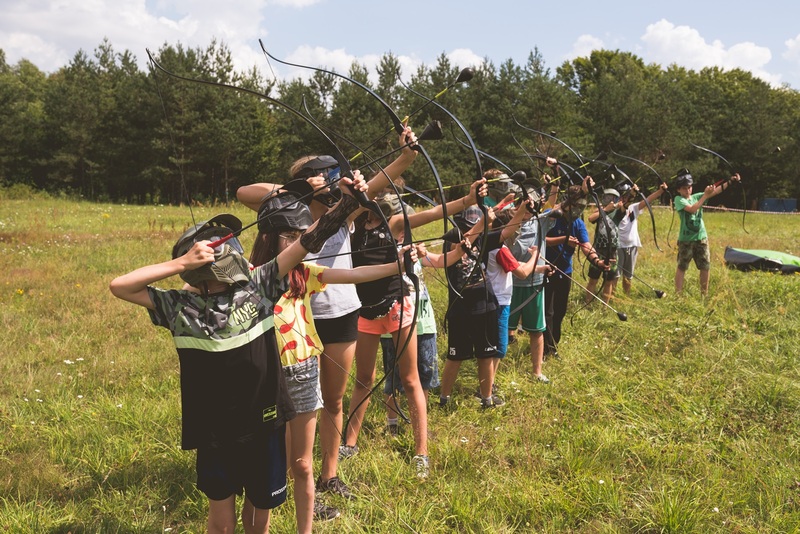 This camp combines entertainment, integration and inspiration. 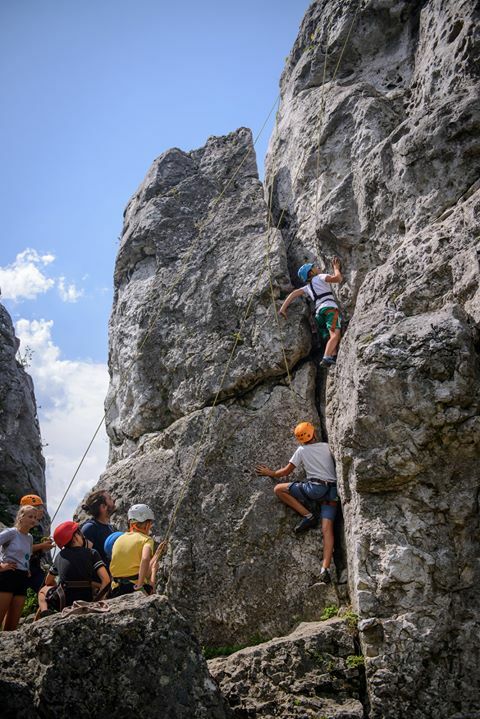 A trip for children and young people, during which they can freely develop their talents, realizing themselves in one of three areas - the arts, sciences or sports. If you want to join the TDJ Foundation team and to support the education and development of children and youth, write to us! Specialists in the field of education, development, cooperation with children and youth. Tutors, mentors, and coaches. People with passion who have experience in conducting educational and development projects for young people. People wishing to gain experience in working in an NGO, or on educational, development and international projects. TDJ Foundation projects are co-financed by the TDJ scholarship fund, which gains money collected as part of the 1% of tax campaign. You can make more children and young people receive support by transferring 1% of tax to the TDJ Foundation by entering settlement number KRS: 0000294837. Would you like more children to participate in our camps? Receive support in a development project? Or maybe go to a language course? Thanks to you, it is possible. If you contribute to the Scholarship Fund by making a donation to the TDJ Foundation account: 47 1020 2498 0000 8802 0373 6790 with the name of the programme, we will allocate all collected funds for the implementation of projects. Spokoju, refleksji i radości życzymy Wam na Święta Wielkanocne :) Niechaj będzie to czas spędzony w gronie najbliższych! Nasze doświadczenie pokazuje, że podstawą rozwoju każdego człowieka jest bezpieczne i przyjazne środowisko. Dlatego niezwykłą wagę przywiązujemy do tego, by opierać pracę z dziećmi i młodzieżą na szacunku, wzajemnym słuchaniu się i indywidualnym podejściu. Jedną z osób, która czuwa nad przestrzeganiem tych zasad jest Agata Otrebska - nasza ekspertka i superwizorka zespołu tutorskiego. Czy praca nad własnym rozwojem musi być trudna, poważna i w pełni z góry zaplanowana? Mamy nadzieję, że nasza fotorelacja z drugiego zjazdu IPR pokaże Wam, że choć czasem pojawiają się chwile zwątpienia i gorsze momenty, to dobrze jest inwestować w siebie, testować różne ścieżki, popełniać błędy i wyciągać z nich wnioski. To naprawdę daje satysfakcję! Kampania Podziękuj nauczycielowi powstała po to, żeby docenić ważnych ludzi. Nauczycieli. Powiedzieć im po latach lub po chwili jedno proste słowo „Dziękuję”. Podziękować za dostrzeżenie naszych talentów, za pokazanie nowego kierunku, za uznanie, troskę, mądrość, lub za to że byli lub są po prostu wspaniałymi, wyjątkowymi ludźmi. Warto. Zostaw swoje podziękowania na profilu Podziękuj Nauczycielowi na Facebooku. Jeśli jesteście ciekawi, jak wygląda wyjazd w ramach myOXperience, zapraszamy do lektury relacji z wczoraj. Debaty, sztuka, zoologia - zajęć nie brakuje! 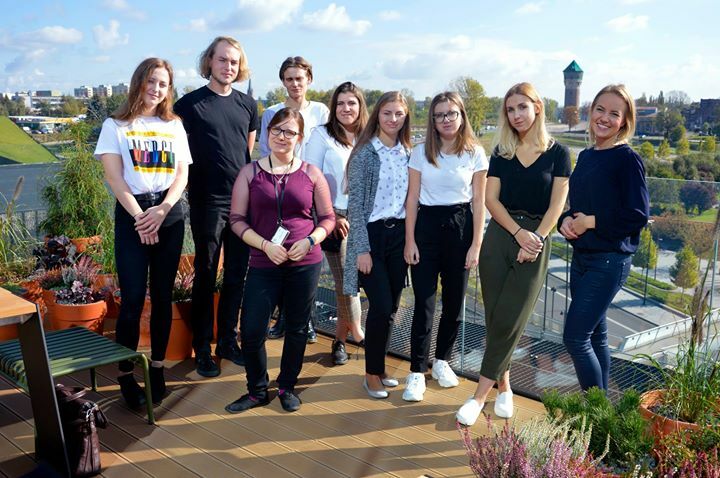 Kiedy w ubiegłym roku postanowiliśmy wspólnie z Project Access, że zorganizujemy konkurs myOXperience - nawet nie przypuszczaliśmy, że niemal 1000 osób będzie chciało wziąć w nim udział. Wczoraj wręczaliśmy laureatom i finalistom dyplomy, a dzisiaj 30 z nich poleciało do Wielkiej Brytanii, by poczuć się częścią University of Oxford. 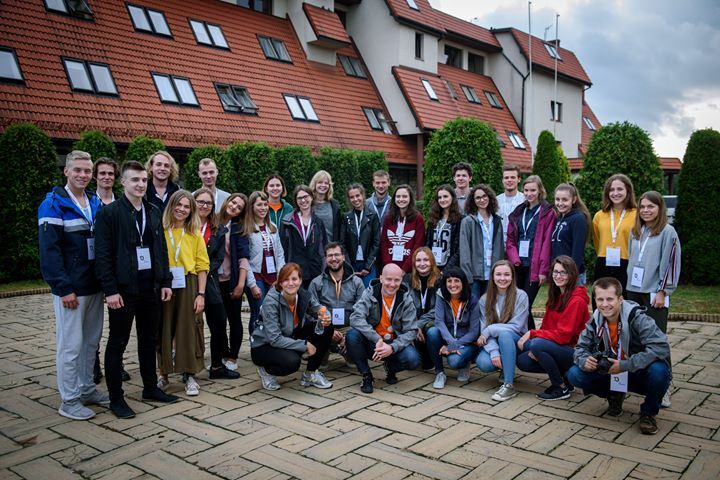 A oto laureaci i finaliści I edycji Konkursu #myOXperience! Jesteśmy gotowi na II zjazd uczestników #IPR. Zaczynamy! Today's math curriculum is teaching students to expect -- and excel at -- paint-by-numbers classwork, robbing kids of a skill more important than solving problems: formulating them. 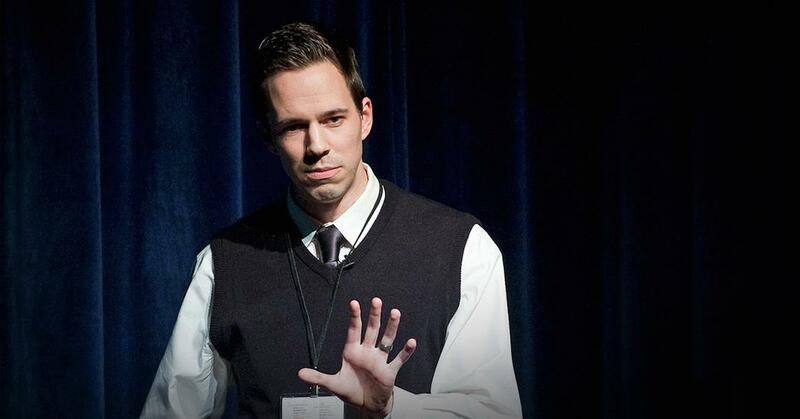 Dan Meyer shows classroom-tested math exercises that prompt students to stop and think. Marek to nasz człowiek od zadań specjalnych i często pracuje na drugą zmianę, by być dostępnym dla naszych stypendystów. W zeszłym roku dołączył do zespołu Bartka, by współtworzyć Indywidualny Program Rozwoju. Naszej młodzieży często powtarza, że na drodze rozwoju błędy są równie ważne jak sukcesy. Trzeba tylko pamiętać, by wyciągać z nich wnioski. Liczba zgłoszeń do konkursu myOXperience bardzo wyraźnie pokazała, że wśród młodych Polaków jest ogromna chęć do odkrywania różnorodnych systemów edukacji, a szczególnie zagranicznych. Kto z Was nie chciałby znaleźć się pośród murów legendarnego Oxfordu? Uczestnikom Wakacji z Pasją, a tym bardziej stypendystom z #IPR2019 - Bartłomieja przedstawiać nie trzeba. Wszystkim innym podpowiemy, że Bartek zbudował niezwykły zespół złożony z ekspertów, tutorów i wychowawców, by wspólnie tworzyć bezpieczną przestrzeń do rozwoju młodych osób. Na co dzień uczy nas, że zaangażowanie jest ważniejsze niż efekt. Nasi tutorzy i tutorki mają możliwość uczestniczenia w dodatkowych spotkaniach, podczas których trenują swoje umiejętności i pozyskują nowe kompetencje. Pozdrawiamy z sobotniej Narzędziowni! Ruszyła rekrutacja kadry na Wakacje z Pasją! Jeśli lubisz pracować w grupie, masz duże pokłady cierpliwości i pasję, którą chętnie zarazisz młodych ludzi - wypełnij formularz! Na zgłoszenia czekamy do 28 lutego. Zgłoś się na wychowawcę lub asystenta i podziel się swoją pasją z uczestnikami obozów TDJ Foundation. Rekrutacja trwa do 28 lutego! W styczniu wyruszyliśmy w kolejną niezwykłą podróż, do której zaprosiliśmy 68 młodych osób z całej Polski. Towarzyszyć im będą tutorzy i tutorki, aby wesprzeć każdego z uczestników w poznawaniu, planowaniu, testowaniu i realizowaniu osobistych celów. Za nami pierwszy przystanek, poznanie wszystkich osób, biorących udział w Indywidualnym Programie Rozwoju, pierwsze panele i warsztaty motywacyjno-rozwojowe. Zobaczcie, jak było na zjeździe! Pamiętacie Justyna? To laureatka ubiegłej edycji #SypendiumCollege. We wrześniu wyjechała na wymianę do Como położonego w Lombardii, zamieszkała z włoską rodziną i od tej pory uczy się ze swoimi rówieśnikami we włoskiej szkole. Przez ostatnie miesiące Justyna poznała grono świetnych osób z całego świata, wraz z którymi przesyła Wam wszystkim pozdrowienia. W naszej pracy bardzo ważny jest dialog i tworzenie bezpiecznej przestrzeni do współpracy z młodzieżą oraz całym zespołem. Dlatego u podstaw fundacyjnych programów stoi komunikacja bez przemocy (NVC). Chcecie dowiedzieć się, kim jest żyrafa i jak budować dobre relacje? Zajrzyjcie do materiału. 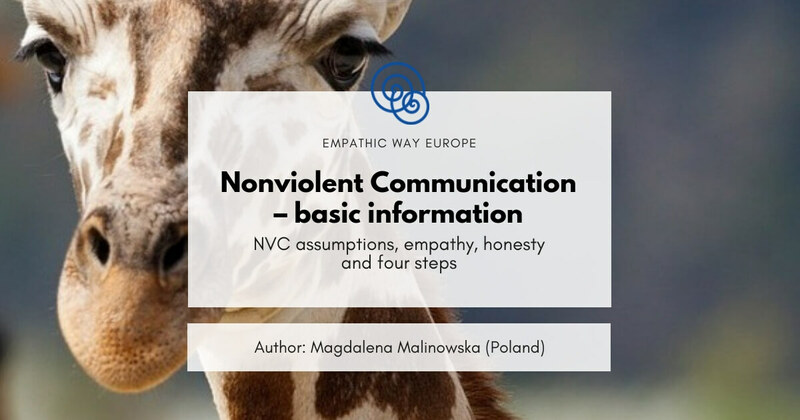 Nonviolent Communication (NVC) aims at supporting dialogue between people and building societies based on empathy and taking into account needs of everyone. Nowy rok rozpoczynamy od lekcji kreatywności, która przyda się na każdej ścieżce rozwoju. A Was jakie doświadczenia inspirują? 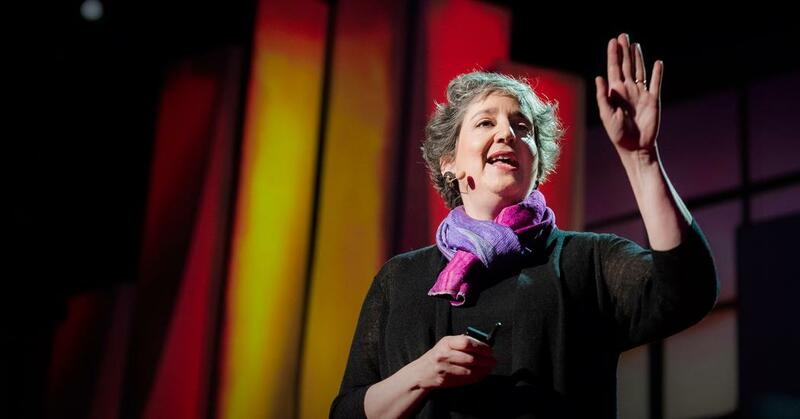 Radio host Julie Burstein talks with creative people for a living -- and shares four lessons about how to create in the face of challenge, self-doubt and loss. Hear insights from filmmaker Mira Nair, writer Richard Ford, sculptor Richard Serra and photographer Joel Meyerowitz. 918 - ta piękna liczba podsumowuje pierwszy etap rekrutacji naszego nowego projektu, który współorganizujemy razem z Project Access Polska. Dzięki myOXperience w marcu 30 polskich uczniów wyjedzie na warsztaty na #Oxford. Dziękujemy za zgłoszenia! Tworząc myOXperience, byliśmy przekonani o potrzebie takich przedsięwzięć, a liczba Waszych aplikacji całkowicie nas w tym upewniła. Przed nami ciężkie zadanie: wyłonić kandydatów, którzy przejdą do drugiego etapu. Do końca miesiąca możecie spodziewać się od nas wiadomości! Aby budować świadomość własnego potencjału i korzystać z nabytych kompetencji do ulepszania siebie i swojego otoczenia, potrzebna jest edukacja dopasowana do indywidualnych potrzeb - uważa Oliwia Kwiatkowska, Partner Zarządzająca w TDJ Foundation. Polacy studiujący za granicą to nasz wielki gospodarczy atut. Zachęcenie ich do aktywności zawodowej w kraju to wspólne zadanie instytucji państwowych i przedsiębiorców. 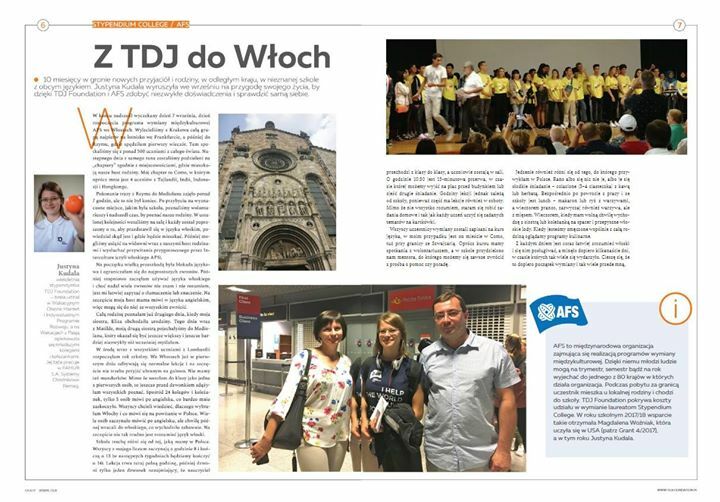 Jeśli macie ochotę tak jak Marek poczytać nowy numer magazynu Grant 📰, to zapraszamy tutaj ➡ http://bit.ly/grant-10 Inspirującej lektury! Nasze cotygodniowe briefingi dają nam solidną dawkę motywacji do dalszej pracy. A co robimy na takich spotkaniach? Opowiadamy całemu zespołowi o tym, jakie wyzwania przed nami stoją, a co już się udało dokonać, jak wyglądają postępy w poszczególnych programach, jakie mamy plany i o wieluuuuu, wielu innych rzeczach. Działamy! #ZespółTDJFoundation Z nieskrywaną radością witamy w naszym zespole Monika Madigan, która będzie odpowiedzialna za rozwój fundacji w kierunku edukacji przedszkolnej. Monika od trzech lat jest związana z działaniami edukacyjnymi, będąc współautorką Przedszkola na Kopcu. 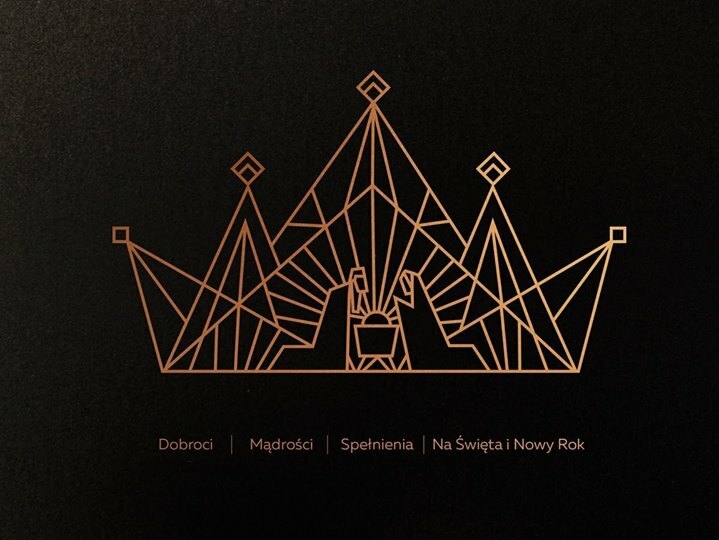 Jej doświadczenie pomoże nam stworzyć więcej rodzinnych placówek wspierających rozwój i wychowanie dzieci. Piątkowo inspiruje Jakub Turański, który podpowiada jak ważne są relacje dla uczniów i ich procesu uczenia się. Zobaczcie polecany film i zastanówcie się nad słowami: Kids don't learn from people they don't like. Jakie to bliskie całej naszej kadrze :) Miłego weekendu! #WakacjezPasją nie byłyby takie wyjątkowe bez tych niezwykłych ludzi. Dziękujemy całej kadrze za serdeczność, szacunek i ogromne serce. Wasza pasja pomogła stworzyć przestrzeń, w której nasi stypendyści mogli odkrywać siebie! 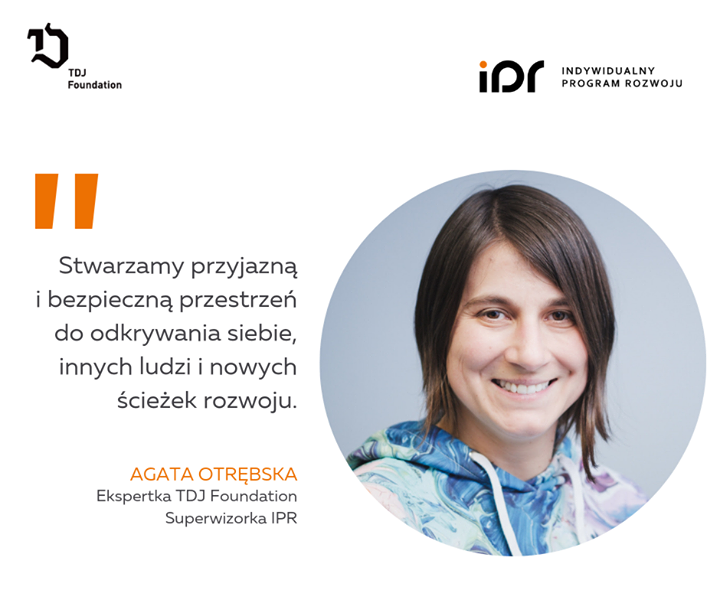 Agata jest naszą ekspertką, z którą wspólnie opracowujemy #IndywidualnyProgramRozwoju, a podczas projektu będzie prowadzić zespół tutorów. Już po raz trzeci zrealizujemy z Agatą program oparty o tutoring i nastawiony na osobiste potrzeby stypendystów. Posłuchajcie zatem, jakiego wsparcia możecie oczekiwać, dołączając do #IPR. 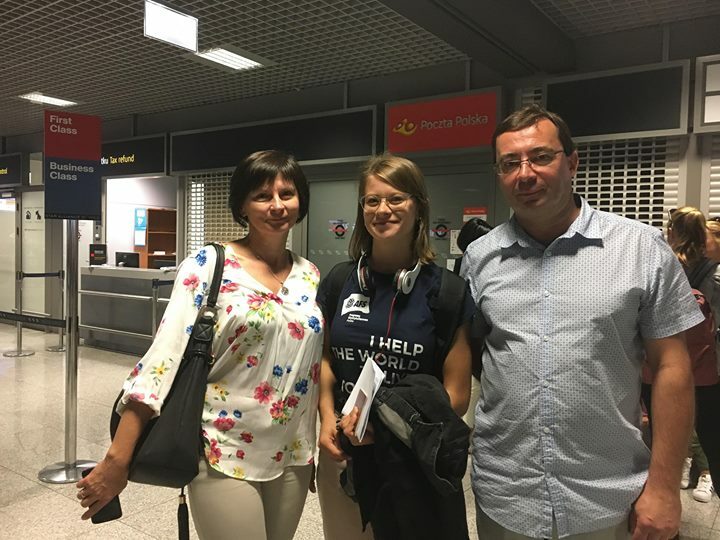 Justyna właśnie czeka na odprawę ✈ i już za chwilę wyleci do Włoch 🇮🇹, gdzie w ramach Stypendium College na 10 miesięcy zamieszka z włoską rodziną i będzie uczęszczać do tamtejszej szkoły. Justynko - powodzenia! Podstawą Indywidualnego Programu Rozwoju jest tutoring, czyli współpraca z... no właśnie, posłuchajcie Sylwia, która opowiada kim dla niej jest tutor i co osiągnęła dzięki jego wsparciu. IPR: Kto to jest tutor? 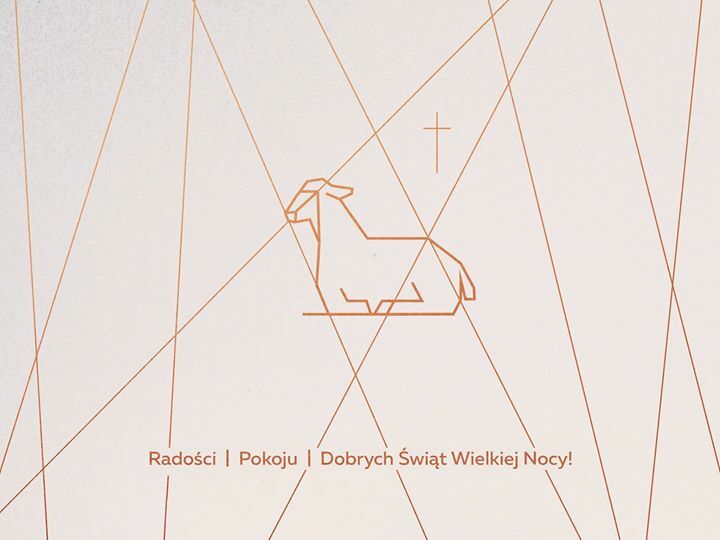 Sztuka cyrkowa, festiwal kolorów, kreacja własnego przedstawienia i wiele, wiele innych atrakcji towarzyszyło uczestnikom ostatniego turnusu Wakacji z Pasją. Drodzy stypendyści, pewnie część z Was nie może się doczekać nowych wyzwań w tym roku szkolnym, a część już tęskni za wakacjami. Wszystkim Wam życzymy, aby te najbliższe 10 miesięcy były pełne inspiracji oraz cennych doświadczeń. Powodzenia! Nasi obozowicze przyjęli wczoraj kolejną dawkę pozytywnej inspiracji, mierząc się z grą terenową opartą o off road i budowanie totemów. A przed nimi zajęcia z renowacji mebli, które zostaną odświeżone zgodnie z projektami podopiecznych z Fundacja Iskierka! Drugi z tegorocznych obozów, podczas którego dzieci i młodzież zmierzyli się m.in. z krav magą, tyrolką, wspinaczką po skałkach, a także nocą spędzoną w lesie! Dziękujemy podopiecznym Fundacja Iskierka za wkład do naszego obozu dla młodzieży! 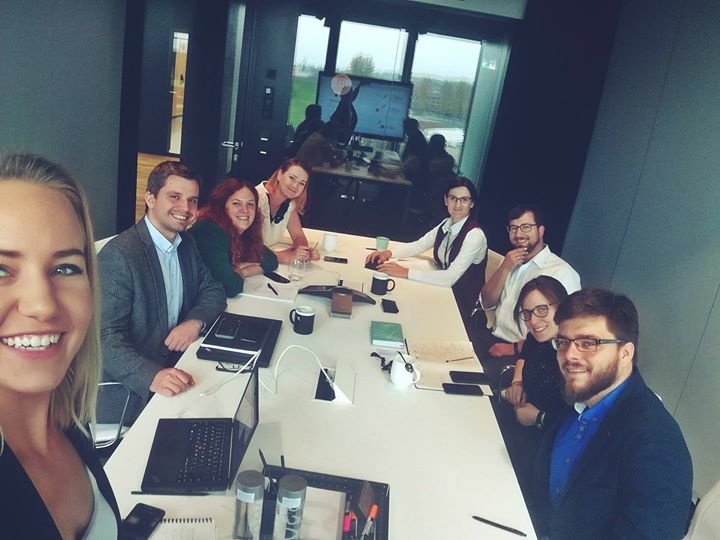 Uczestnicy Projektu InspiracJA otrzymają przepiękne projekty, które posłużą do renowacji mebli :) Już wkrótce opowiemy Wam, jaki będzie dalszy los wspólnego dzieła. Mamy dla Was piękne zdjęcia z pierwszego obozu #WakacjezPasją od Karol Bartnik Fotografia i Przemysław Jendroska. Zobaczcie jak przez 7 dni mierzyły się ze sobą świat nauki i świat wyobraźni! Letni obóz Fundacja TDJ, podczas którego odkrywaliśmy pasje i ćwiczyliśmy kompetencje. Na tym wyjeździe zadaliśmy sobie pytanie, czy istnieje jakiś związek pomiędzy nauką a światem fikcji. Jak się okazuje, według uczestników Wakacji z Pasją możliwe jest zbudowanie mostów, które oba te światy połączą! W niedzielę powitaliśmy w Hucisku kolejną grupę obozowiczów, którzy przyjechali na Wakacje z Pasją. W ramach survivalu ćwiczą m.in. strzelanie z łuków oraz przechodzą trening Herkulesa. Za sobą mają także pierwszą noc spędzoną w lesie! 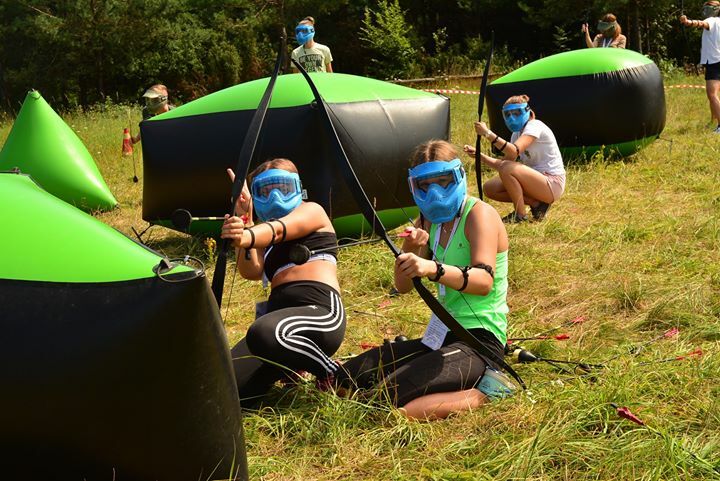 Dzięki Archery Tag - Strefa Zamknięta i Krav Maga NA MAXA za zajęcia! Podczas Wakacji z Pasją bardzo ważne jest dla nas bezpieczeństwo uczestników, dlatego zaprosiliśmy do współpracy Zakon Maltański Polska Order of Malta Poland, który przeszkolił naszych wychowawców, ale też poprowadzi zajęcia dla młodzieży. 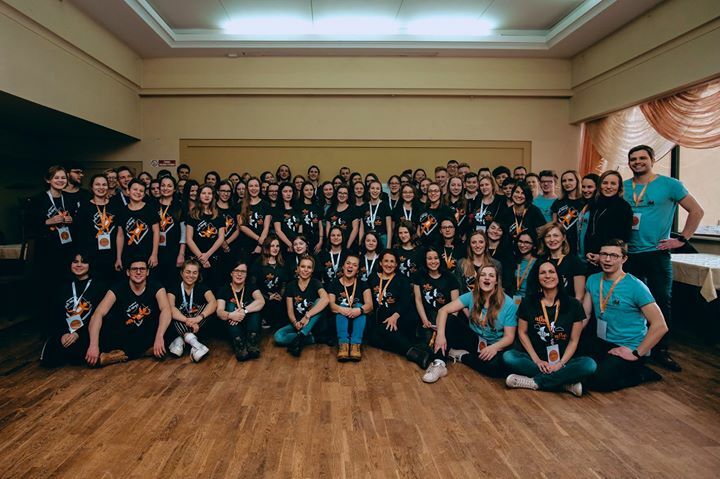 Bardzo się cieszymy że Maltańska Służba Medyczna oddzial Katowice może przeprowadzać szkolenia dla wychowawców i uczestników kolonii TDJ Foundation. Dziękujemy za zaufanie i zaproszenie. Wszystkim uczestnikom życzymy wspaniałych przeżyć i niezapomnianych chwil. #TDJFoundation #MSM #Katowice #Rozwoj #edukacja #dzieci #Hucisko #OrleGniazdo #wolontariat #PierwszaPomoc #szkolenia. Pierwszy obóz językowy w Wielkiej Brytanii już się zakończył. Nasze stypendystyki powróciły z York, gdzie szlifowały język angielski na kursie General English. Kilka słów o wyjeździe przesłała nam Sylwia. Natomiast drugi tydzień kursu rozpoczęli Kasia i Piotr, którzy na miejsce swojej nauki wybrali Oxford! O Indywidualnym Programie Rozwoju opowiada Aneta, która w tym roku pełniła rolę tutora. A kim jest tutor? Dowiecie się z filmu. O nowej edycji będziemy opowiadać szczegółowo we wrześniu wraz ze startem rekrutacji! 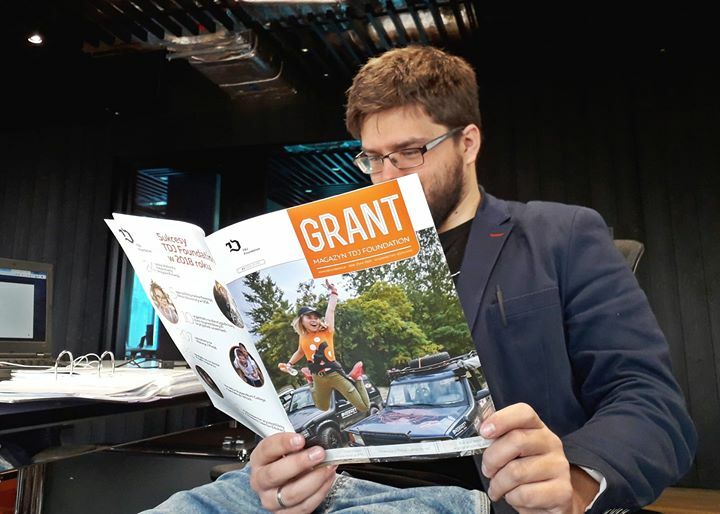 A oto bohaterzy kolejnego wydania Magazynu "Grant". 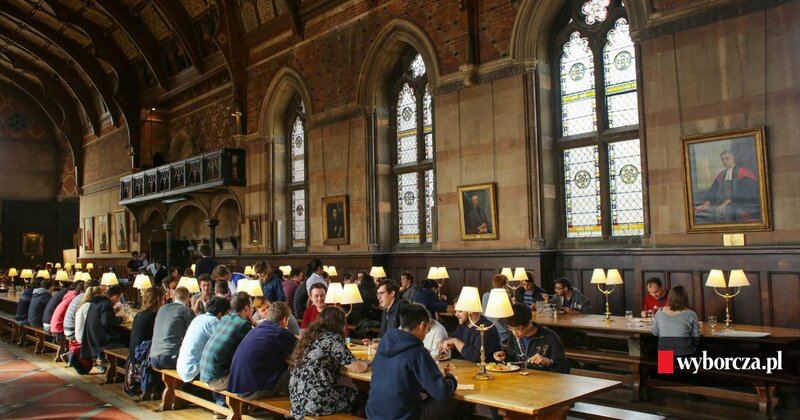 Jak już się zapewne domyślacie, nasi stypendyści opowiedzą Wam o Ampleforth College. Dowiecie się m.in., jak to jest wyjechać do szkoły za granicą na rok, a jak tylko na tydzień. Nowy numer będzie dostępny już na początku sierpnia! Czy można ćwiczyć tworzenie prezentacji multimedialnych bez użycia komputera? Otóż można, a jak się okazało podczas naszych ostatnich warsztatów - nawet trzeba. Dobrze przemyślany projekt to podstawa! Dziękujemy wszystkim za udział w naszych spotkaniach. Tym samym kończymy cykl warsztatów z Wizualizacji. 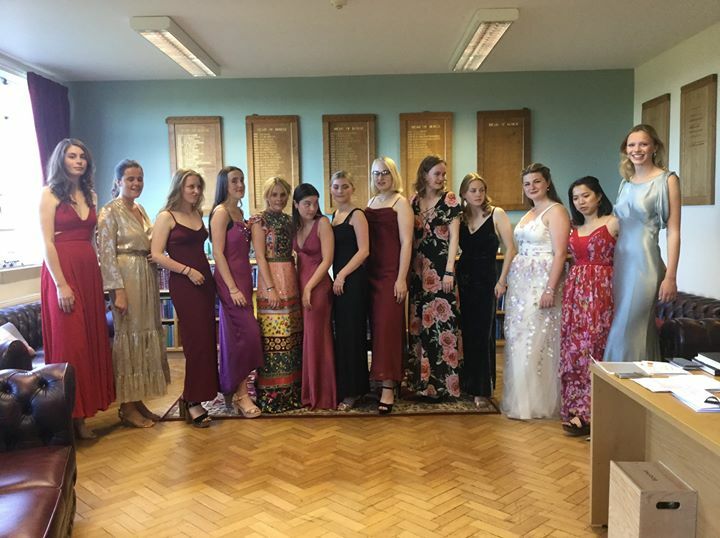 W Ampleforth College rok szkolny również dobiegł końca, a nasi stypendyści wrócili już do domu.Dla Gabriela i Wojtka był to ostatni rok w szkole, który zakończyli 'Leavers Ball", czyli uroczystą imprezą pożegnalną. 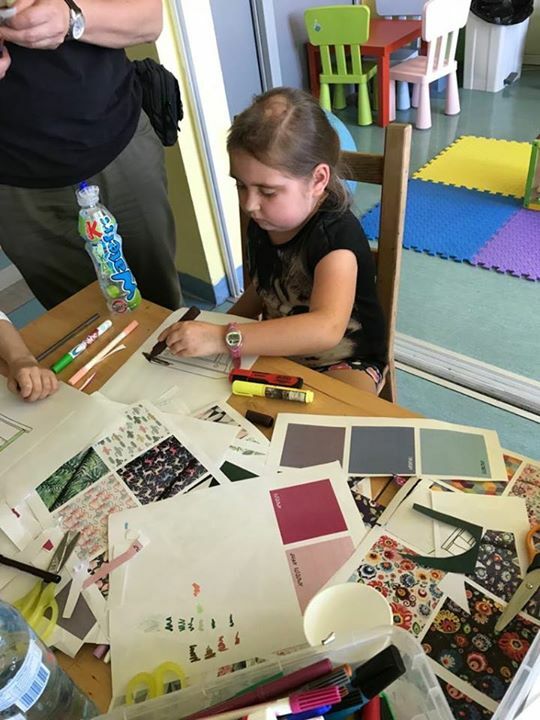 Myślenie wizualne wcale nie jest takie trudne, o czym mogli się przekonać uczestnicy naszych sobotnich warsztatów realizowanych przez wolontariuszkę EVS - Nadiia. A oto laureatka Stypendium College - Justyna Kudala, która we wrześniu wyruszy na rok do Włoch, gdzie zamieszka z rodziną goszczącą i będzie uczęszczać do szkoły. Gratulujemy!